He said: “Donald Tusk is a worried man – worried that Brexit will signal further disunity within the European member states. “For the first time he uses the language of victory and defeat, of winners and losers. “If the other 27 nations are to stay together in the EU – and I doubt they all will – two things need to happen. 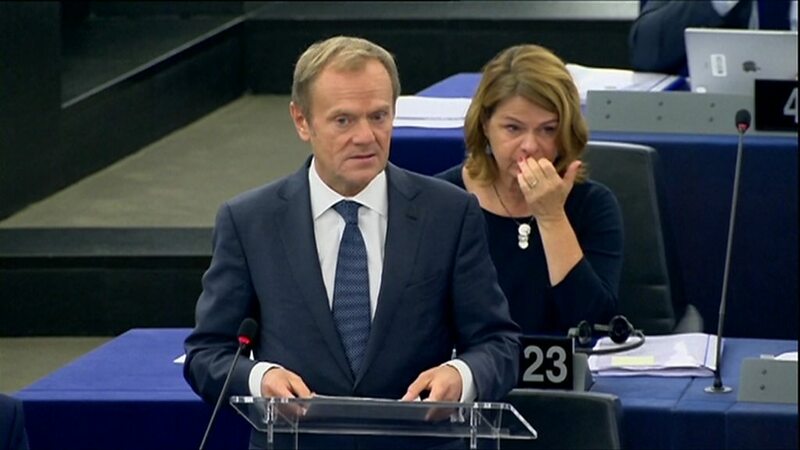 Donald Tusk says the talks are the bloc's "toughest stress test" and the EU cannot become divided.